Many of the recipes I find that contain Chia also include dairy or nut milks. I've seen THESE drinks on the market for loads of $$, and wanted to try my hand at making them myself. I love the tartness of the hibiscus paired with the sweetness of the honey. This tea is not only nourishing, but a perfect way to soothe your digestive system. Boil 1 quart of water, turn off the heat and add the first 4 ingredients above (the tea blend). Cover & allow to steep for 15 minutes. Strain the bright red liquid into a pourable bowl. Allow to cool slightly, then stir honey until dissolved fully. Mix in the mashed blueberry mixture & chia seeds. Pour into a 1 quart container, seek & refrigerate. 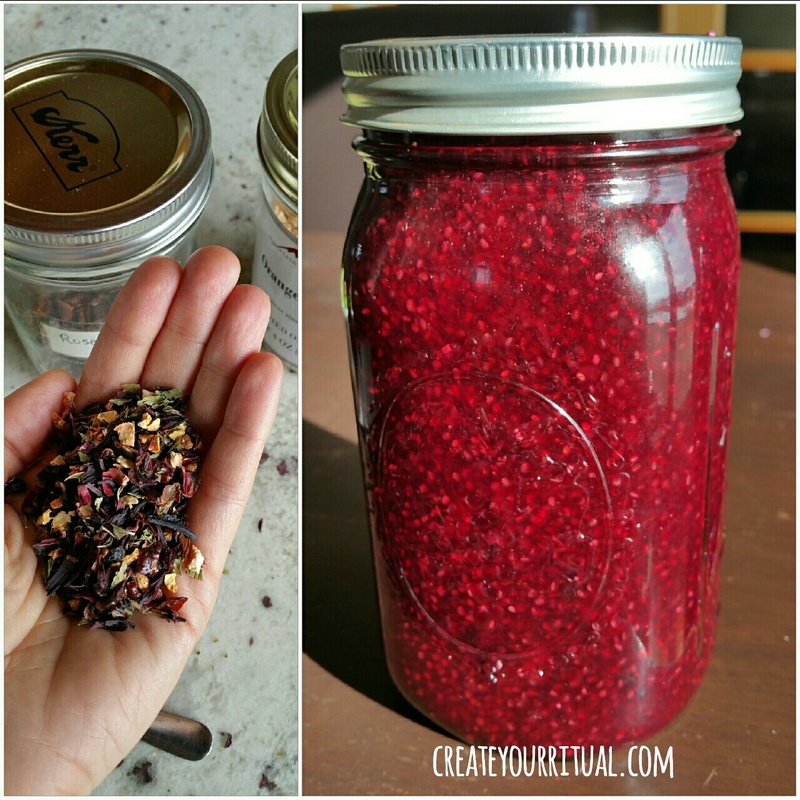 Allow the Chia seeds to produce gel for at least an hour but overnight is better. Shake the tea before serving and enjoy cold.